American snowmobile racer who is widely respected as one of the world's best, having won more than a dozen X-Games medals during his illustrious career. 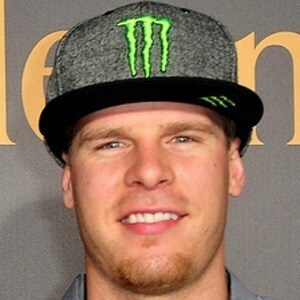 He set an X-Games record by winning 9 consecutive gold medals in the SnoCross event. He grew up in Pelican Rapids, Minnesota and participated in his first race at age 11. He turned professional in 2000. He was the youngest gold medal winner in Winter X Games history until snowboarder Chloe Kim beat his record in 2015. He married Mandi Johnson Hibbert. He and Blair Morgan are both X-Games gold medalists in SnoCross.